Plots from the Alpha 2 supplement show observed versus simulated cloud fraction for simulation number 13 on June 6, 2015. The plots show observed cloud fraction (top panel) retrieved from the Active Remote Sensing of CLouds (ARSCL) product using the Ka-Band ARM Zenith Radars (KAZRARSCL) product, the simulated cloud fraction (middle panel) based on large-eddy simulation, and a comparison of observed and simulated cloud fraction (bottom panel) color coded by cloud presence as indicated in the legend. The Large-Eddy Simulation (LES) ARM Symbiotic Simulation and Observation (LASSO) team recently made available a supplement to the Alpha 2 set of data bundles, adding five case dates from spring and summer 2015. The LASSO data product consists of data bundles combining LES input and output, relevant observations, skill scores, and diagnostics. 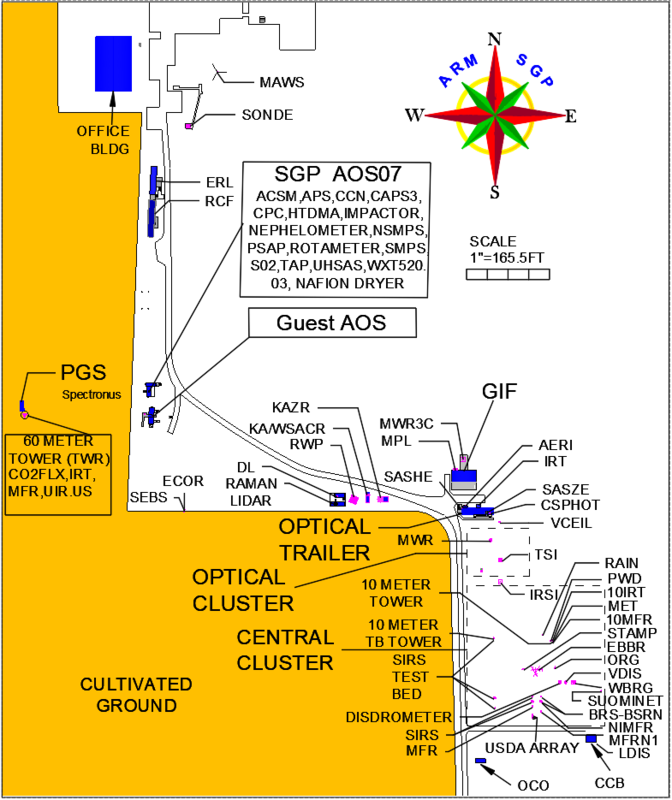 The data bundles currently focus on shallow convection at the Atmospheric Radiation Measurement (ARM) user facility’s Southern Great Plains atmospheric observatory in Oklahoma. Originally, the shallow convective dates simulated and released as part of the Alpha 1 release included the 2015 cases, and the Alpha 2 release contained 2016 cases. Alpha 2 brought with it improvements in the LES models as well as in the data bundle post-processing. Due to technical reasons, the Alpha 1 cases have been removed from the Bundle Browser interface used to identify data bundles of interest. Because of this, LASSO data bundles for the 2015 dates that were originally produced for Alpha 1 have been more difficult for users to find. Also, older data bundles contain some issues that have been corrected with the newer Alpha 2 software. To avoid the issues identified in the older bundles, the LASSO team used the Alpha 2 version of the software to reproduce a subset of the Alpha 1 simulations for the five 2015 case dates. The new simulations have been added as a supplement to the Alpha 2 release. This enables users to search for these 2015 simulations via the Bundle Browser and be assured that the results are as accurate as possible. Note that this supplemental release supersedes Alpha 1 for most research applications. Users are therefore advised to use Alpha 2 or newer simulations when they will meet particular research needs. However, because not all variations of the Alpha 1 simulations have been rerun, there could be situations when Alpha 1 simulations are the appropriate data set. Users are encouraged to contact the LASSO team for guidance if they would like to use Alpha 1 data. Additional information on this supplemental release is available in Appendix D of the updated LASSO Alpha 2 technical document. Researchers interested in being informed about LASSO updates and other related information can join the LASSO email list.